Over the past decade, Stars has developed a pretty impressive range. Perhaps it’s a factor of having two stunningly talented lead singers, or maybe it’s their fondness for symphonic compositions. Regardless, whether they’re breaking hearts with The Smiths covers or inspiring dance parties with indie rock anthems, the Canadian band hasn’t shied away from risk. So it’s no surprise that their sixth studio album, The North, has the band embracing a new genre: electronica. The North kicks off with “The Theory of Relativity” and “Backlines,” which are both the most danceable and best-crafted songs on the album. On the opener, frontman Torquil Campbell sings tenderly over a backbone of thrilling electronic beats that sound straight off an M83 record. The second track sticks more to Stars’ rock roots, with female lead Amy Millan trilling over rugged guitar riffs. Unfortunately, the rest of The North isn’t quite as solid. At songs like “Lights Changing Color” and “The 400,” Stars encounter a problem they’ve faced before: they’re just a bit too twee. It’s almost unavoidable for a band like Stars, whose songs rely heavily on honey-soaked vocals, orchestral arrangements, and of course, romance. 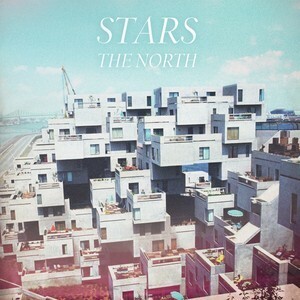 As a whole, The North is a solid album and it boasts several brilliant tracks, but for a band whose past albums have been magnificently consistent, The North ends up a bit lacking, both in sound and theme.